Ankara has already patched up relations with Israel and Russia—and Washington could be next. 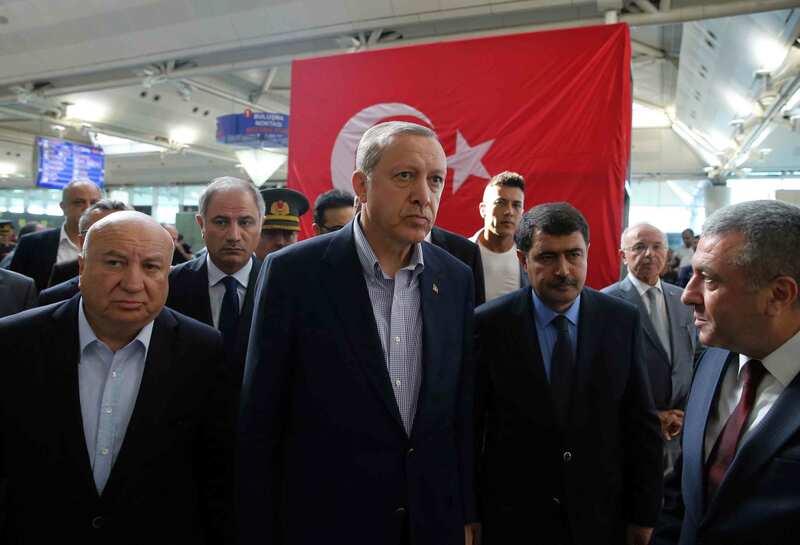 The Istanbul airport attack last week may mark the beginning of a new, less ambitious, and more cautious foreign policy on the part of Turkey, and the end of what some observers had called “Neo-Ottomanism” in the Middle East. The horrific bloodletting at a major transportation hub, staged by Daesh (ISIS, ISIL) from its Syrian capital of Raqqa, may have been the final nail in the coffin of Turkey’s attempt in recent years to punch above its weight in world affairs. President Recep Tayyip Erdogan’s feuds—with Russia, Israel, Egypt, Syria, and the PKK Kurdish guerrillas—had taken the country from a policy of “zero problems with neighbors” to one of unrelenting crisis on the country’s borders. The two strongest leaders Turkey has had during the past century were polar opposites ideologically, but perhaps not so dissimilar in personality. Mustafa Kemal Ataturk (1881–1938), who founded the Turkish Republic out of the ashes of the Ottoman Empire, and current President Erdogan both sought to put their personal stamp on an entire nation. But Ataturk was a militant secularist who admired the French Third Republic and wanted nothing to do with Islam or the Middle East. Erdogan, who served as prime minister from 2003 to 2014 and has been president since then, is a champion of Muslim causes who sought to make Turkey again a key economic and political player in the Middle East. Turkey’s pro-fundamentalist politics also began affecting its relations with the Arab world. Ankara supported the 2011 revolution in Egypt, as well as the religious-right Muslim Brotherhood government that emerged in its aftermath the following year. Ankara was furious when Field Marshal Abdel Fattah el-Sisi overthrew elected president Mohamed Morsi in the summer of 2013, and has had bad relations with Cairo ever since. Although Erdogan had attempted to cultivate Syrian president Bashar al-Assad in the late zeroes, when Assad decided brutally to repress the Syrian Revolution that began in 2011, the Turkish leader denounced Damascus for war crimes and began funneling arms and money to rebel groups. Some of those groups later turned radical, but Erdogan was undeterred by this development, insisting that Assad be overthrown, even if by relatively hard-line fundamentalists. Erdogan appears to have been entirely unconcerned about the rise of Daesh after it broke with Al Qaeda in 2013. When Russia decided to intervene in Syria in the fall of 2015 to prop up the Assad regime, it subjected rebels supported by Turkey to heavy aerial bombardment. In the mountains of the northwestern Syrian province of Latakia, next to the Turkish border, some of the Syria rebels were themselves ethnic Turkmen. Russia saw them make battlefield alliances with Al Qaeda in Syria (the Nusra Front) and bombed them. In response, Erdogan ordered a Russian bomber shot down last November. Russian President Vladimir Putin reacted with cold fury, canceling Russian tourism to Turkey and contracts for Turkish fruits and vegetables, among other steps. Tourism accounts for 5 percent of the annual Turkish GDP of some $733 billion, or about $37 billion, and Russian tourism was a significant proportion of the whole. Last summer, in response to terrorist attacks, Erdogan called off the peace process with the separatist, far-left PKK guerrilla group and went to war in southeast Turkey. Erdogan faces, moreover, another Kurdish challenge in neighboring Syria. The most effective enemies of Daesh in Syria are the leftist Kurdish militia of northeast Syria, the YPG, and its Arab allies, all of whom the US Department of Defense has organized as the Syrian Democratic Forces (SDF). Erdogan, who sees the YPG as a terrorist group and indistinguishable from the PKK, has been much more exercised by this supposed threat of Kurdish separatism than by the rise and brutality of Daesh. President Erdogan has been much more exercised by the supposed threat of Kurdish separatism than by the rise and brutality of Daesh. Erdogan’s opposition to the creation of a Kurdish ethnic province in northern Syria has been stymied, however, by the Great Powers. Both the United States and Russia have been supportive of the YPG, not because they are suddenly leftist anarchist feminists (the ideology to which many Syrian Kurds subscribe) but because they offer the best hope of defeating Daesh. Meanwhile, the SDF is gradually taking the Syrian city of Manbij, which lies on a major smuggling route from Turkey to the Daesh capital of Raqqa. If the city and its hinterland falls entirely to the allied Kurdish and Arab forces, Daesh will find it difficult to resupply Raqqa. The phony caliphate has lost much of its Iraqi territory, and so cannot hope for much help from that quarter. The fall of Manbij, in addition, will bring the Syrian Kurds an important step closer to their dream of uniting their three cantons in the north into “Rojava,” a Kurdish mini-state that at most may one day be reintegrated into a loosely federated Syria. Faced with this prospect, the Turkish government may have begun to rethink the project of overthrowing the government of Syria. The Arabic press says that Turkey has asked Algeria to mediate between Ankara and Damascus, especially on the Kurdish issue (Turkish Prime Minister Binali Yildirim denies that there have been such contacts). Daesh appears to have decided to try to play Turkey against the Syrian Kurds and their Western allies. By attacking Ataturk International Airport, a key tourist hub through which 50 million visitors pass every year, Daesh is threatening Turkey with the worst of both worlds. There may be both a new Kurdish statelet on its southeastern border in Syria, run by an offshoot of the PKK, and also a vengeful, defeated Daesh, demoted from caliphate to mere terrorist organization, with Turkey in its sights. Turkey does, however, have another option than acquiescing in this blackmail and covertly undermining the Manbij campaign, pushing the Kurds back across the Euphrates and so restoring Raqqa’s lifeline. That alternative would be to retreat from its muscular Islamist foreign policy throughout the region in favor of drawing back and concentrating on its domestic affairs and domestic security. It could also step up its cooperation with the rest of NATO in taking Daesh out. The terrorists of the so-called “Islamic State” will have far fewer resources with which to menace the powerful Turkish army if it is reduced to vagabondage in the desert. Last week saw significant signs that Erdogan and Prime Minister Yildirim had decided, even before the airport atrocity, to move in this more cautious direction. Turkey and Israel patched up their quarrel over the siege of the civilian population of Gaza. Apparently, Israel agreed to let Turkey send humanitarian aid to Gaza through an Israeli port, where inspections could be held. This move is an important step back from a longstanding Israeli quest to make the lives of even noncombatants and children in Gaza miserable in the hope that residents would overthrow the Hamas government that was democratically elected in 2006. That hope has in any case proven forlorn, and letting Palestinians in Gaza have some basic supplies from Turkey is a small price for the government of Prime Minister Benjamin Netanyahu to pay for improving relations with one of the region’s major powers. Erdogan also tried to restore relations with Russia by expressing regret for the shoot-down of the Russian bomber over Syria last November. President Putin said he accepted the gesture, and reauthorized charter tourism flights from Russia to Turkey. Apparently he is planning to revoke the other punitive economic measures he took against Turkey last fall, as well. Russian Foreign Minister Sergei Lavrov appears to be hinting that Russia agreed to stop bombing Turkey’s fundamentalist proxies in northwest Syria, the Freemen of the Levant (Ahrar al-Sham) as well as the Army of Islam near Damascus, concentrating instead on Al Qaeda and Daesh. There would have been no point in Erdogan’s making his gesture to Moscow unless he had given up on overthrowing Assad via these rebel proxies, though he will no doubt still attempt to place them as advantageously as possible for a postwar set of negotiations over Syria’s future. After the Istanbul airport attack, there is already increased security cooperation between Ankara and Moscow, which are both threatened by Daesh. The cell that hit Istanbul was made up of radical fundamentalists from Russia and the former Soviet Union who had gathered in Raqqa to support Daesh. There would have been no point in Erdogan’s making his gesture to Moscow unless he had given up on overthrowing Assad. Turkish Foreign Minister Mevlut Cavusoglu has also reached out to Egypt, indicating that a more lenient treatment of Muslim Brotherhood figures in jail might be a basis on which to improve relations. Turkey also wants to head off what it sees as a burgeoning Egyptian alliance with the PKK against Muslim fundamentalists. For its part, the Egyptian government of Sisi is demanding that Turkey accept the legitimacy of the June 30, 2013, overthrow of Muslim Brotherhood leader Mohamed Morsi. The two countries have some ways to go to improve relations, but that Turkey is even publicly bringing up the prospect is a step back from its previous rigidity. The resistance PM Binali is facing from President Erdogan, who has just publicly opposed reconciliation with Egypt, suggests how difficult the road forward is. President Erdogan is a man of overweening ambition and is unlikely to give up entirely on carving out a major geopolitical role for Turkey. For the moment, however, Ankara is sending signals of retrenchment. The rapprochement with Russia, already in the works, may be accelerated by the Chechen and Dagestani involvement in the attack on Ataturk Airport. Erdogan may no longer wish to risk complete destruction of the Syrian state if it means an independent YPG Kurdish state on his border. A decade ago, Erdogan was known as a man willing to play a long game, and willing to compromise. In the past five years, that man has been replaced by a rigid authoritarian who has routinely taken extreme risks with his country’s security to attain his vision of Turkey as an emerging great power. The signals Ankara has given off in the past two weeks suggest that Erdogan or his circle may be retreating, at least for now, from this hubris. Maybe it is all right for Turkey just to be a country.